MoneroV is the first hard fork of the Monero cryptocurrency to improve on the now four year old technology. The hard fork is scheduled for block 1529810 which is estimated to occur on March 13th 1564965 which is estimated to occur on April 30th, 2018. MoneroV seeks to address the scaling problems Monero will face going forward and to enable faster development of the blockchain by unshackling the project from its past. As with all hard forks, anyone that controls their private key on the Monero blockchain, will own MoneroV. However, contrary to when Bitcoin Cash forked from Bitcoin in late 2017 instead of Monero owners receiving 1 MoneroV for every Monero, instead they will be awarded with 10 times the MoneroV! Something that will no doubt draw speculative investors who will seek to own both currencies after the fork. Those investors might be well rewarded, given the improvements to supply, scale and on-going development MoneroV intends to make. MoneroV shifts away from having an infinite supply of coins – as on the Monero blockchain. This is quite a huge fundamental difference and one that’s hard to argue with. Monero’s current infinite coin supply acts as a tax in the form of inflation on all Monero owners. Because of this, Monero could never seriously compete with Bitcoin, which as we know has a capped supply of 21 million. 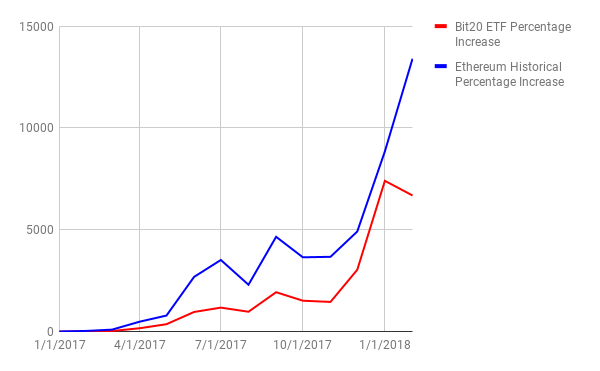 MoneroV addresses this head on – and this is what makes the hard fork necessary – by setting a total supply of 256 million, which is roughly twice Nano’s 133 million, but not as large as Cardano’s 45 billion. As with all proof of work cryptocurrencies, centralisation is a huge threat. 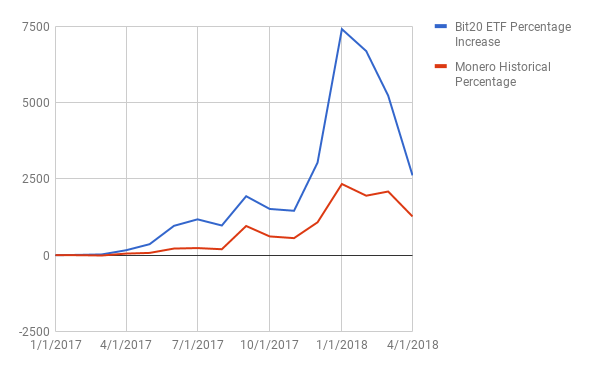 While Bitcoin has totally failed to address the fact that now over 70% of all Bitcoin mining is done in China, Monero, as a privacy coin, will be held to a higher standard. With any privacy coin, centralisation is not just a threat to the security of the network as a whole, but also to the privacy features the network offers on top of the secure blockchain. How can users of a privacy coin trust in its privacy, if the network is owned by a few large mining pools? As it stands, the MoneroV fork does very little to address and will continue to use the same Cryptonight algorithm. However, centralisation is one of the biggest challenges for Monero and MoneroV going forward, so we can assume they are looking into what options are available. Whether its continually tweaking their algorithm to deter people from building ASIC miners, or moving to a proof of stake model remains to be seen. While the community is divided, it seems that the MoneroV is an attempt at taking an already good technology and improving on it. Part of the beauty of blockchain technologies in general is that this is allowed and able to happen – allowing innovation to take many forms. While only time will tell if Monero or MoneroV will be more successful, both coins have no shortage of competition from several other tenacious privacy coins – many of which have already solved their centralisation issues with proof of stake consensus algorithms. As always, ensure you have moved your original cryptocurrency balance into a new wallet, before using your private key on a different blockchain. For those concerned about privacy, it’s also advised to move your currency to a fresh wallet before the fork, to avoid revealing your transaction history on the new blockchain, by sharing your original address. Editor’s Note: Originally aiming for around March 14th, the MoneroV (XMV) hard fork from Monero (XMR) has been postponed by six weeks. Citing a number of issues leading to the decision to delay, the MoneroV team announced the postponement of the snapshot to block 1564965, which is around April 30th. Full details can be found here. Bitcoin Cash is a hard fork of Bitcoin – meaning that it shares almost all of the same characteristics with Bitcoin except one: Bitcoin Cash uses 8 MB blocks while Bitcoin uses 1 MB. This adjustment to the Bitcoin protocol was made to address Bitcoin’s scalability issues. By using larger block sizes, the Bitcoin Cash protocol is designed to increase transaction speeds and decrease fees compared to Bitcoin. Those in favor of Bitcoin Cash argue that the larger block size solves Bitcoin’s scaling problem making it useful for daily transactions (e.g., for a cup of coffee) including micropayments. They also claim that the cryptocurrency that can handle small, constant transactions can also be used as a store of value, thereby replacing the need for Bitcoin. However, those opposed cast it in a much different light. They argue that a larger block size does not permanently solve the scaling problem and instead is a temporary solution that Bitcoin could easily adopt if it’s successful. Instead, Bitcoin Cash is one of many cryptocurrencies competing to be the leader in daily transactions. There are strong arguments on both sides making it very difficult to evaluate. Bitcoin Cash uses the same proof-of-work (POW) system as Bitcoin to validate transactions. But its larger block size leads to expensive data storage costs, and as a result, only a few miners participate in the Bitcoin Cash network. Thus, it is highly centralized (only three miners control over 50% of the hash power: Antpool, ViaBTC, and BTC.com), making it vulnerable to a 51% attack. Bitcoin Cash has about 1/10 the transaction volume of Bitcoin (~$400M in transactions per day). 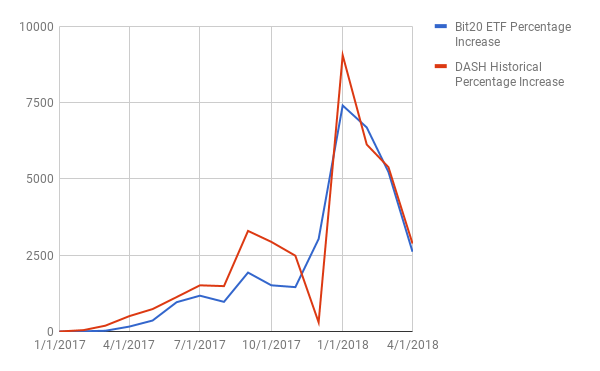 Even though confirmation times and transaction fees are significantly lower for Bitcoin Cash, the network has not been fully tested. On the other hand, Bitcoin Cash does have the 4th largest market cap (~$20B) of all cryptocurrencies and just recently came into existence after the hard fork of August 2017. Bitcoin Cash is accepted at some retailers, such as Overstock.com. Additionally, it can be purchased through several exchanges, such as Coinbase, Bitstamp, Binance, and many others. However, Bitcoin Cash has yet not received widespread acceptance and may only be used at very limited locations. In terms of security, it has many of the same advantages and disadvantages as Bitcoin. Many argue that Bitcoin is meant to be used as a store of value, while Bitcoin Cash is better suited for day-to-day transactions including micropayments. Although this idea makes sense in theory, it is yet to be seen whether Bitcoin Cash can maintain low transaction fees and fast confirmation times when the network is flooded with billions of transactions per day. It appears that off-chain solutions like the Lightning Network or solutions that do not require a blockchain are better suited to handle exponential increases in transaction volume and micropayments. As described above, Bitcoin Cash has almost all of the same features as Bitcoin. The main difference is its block size of 8 MB. This means 8 times as many transactions are included in a block, preventing the network from overloading and having a backlog of transactions that need to be confirmed. 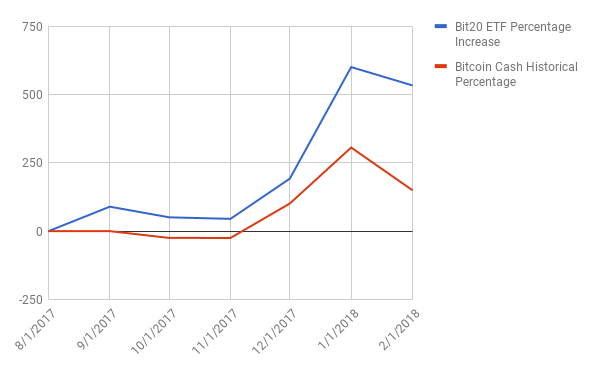 While Bitcoin’s mempool had been reaching close to 300 MB of unconfirmed transactions in January, the amount of unconfirmed transactions for Bitcoin Cash is typically under 1 MB. Even though it may appear that Bitcoin Cash is a direct competitor with Bitcoin, there is an argument that the two can coexist and users can have both for different purposes. Bitcoin may end up being used as a store of value while Bitcoin Cash is the cryptocurrency for day-to-day peer-to-peer transactions. As such, Bitcoin Cash’s main competitors are other cryptocurrencies that intend to be used in a similar manner, such as Litecoin, Dash, Nano, etc. Although there are many competitors in this space, Bitcoin Cash is currently the leader according to market cap, and has room to grow as the demand for cryptocurrencies that can perform day-to-day transactions and micropayments increases. On the other hand, if Bitcoin can address its scaling issues Bitcoin Cash may lose its advantage as the leader of a niche market within cryptocurrency. Because Bitcoin Cash shares almost all of the same features as Bitcoin, the protocol is fully developed and ready for use. Nevertheless, the Bitcoin Cash network has not been tested to the same extent as Bitcoin’s, and we won’t know for sure how well Bitcoin Cash can handle daily transactions until its required to confirm hundreds of millions or even billions per day like a credit card company. The future is very hard to predict as there are so many possible outcomes when it comes to this cryptocurrency. It may emerge as the cryptocurrency used as a store of value and for daily transactions while Bitcoin is considered old technology. On the other hand, it may become obsolete when developers discover a more permanent solution to the scaling problem, such as by using off-chain transactions or a data structure other than blockchain. Of course, its ultimate fate is likely somewhere in between, but because their solution to the scaling problem doesn’t seem to be a permanent one, it’s value may be surpassed by other coins down the road.